Senior Communist Party of China (CPC) official Wang Huning Monday called for studying and implementing the guidelines from the speech made by Xi Jinping, general secretary of the CPC Central Committee, on reform and opening-up. Xi delivered the speech at a grand gathering celebrating the 40th anniversary of China's reform and opening-up on Dec. 18. Wang, a member of Standing Committee of the Political Bureau of the CPC Central Committee and a member of the Secretariat of the CPC Central Committee, made the remarks at a theory seminar commemorating the 40th anniversary of the landmark drive. He demanded improved research and interpretation on the success and experiences of the reform and opening-up, and theoretical support for the thorough reform and opening-up and endeavors to strive for the great success of socialism with Chinese characteristics for a new era. "In a bid to achieve new success in reform and opening-up, it is necessary to deeply study and understand Xi's key statements regarding the drive," Wang said. More than 300 people, including officials and scholars, attended the two-day seminar that ended Monday. 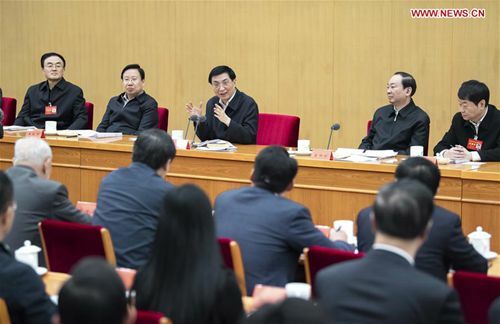 Huang Kunming, a member of the Political Bureau of the CPC Central Committee and head of the Publicity Department of the CPC Central Committee, presided over the seminar.